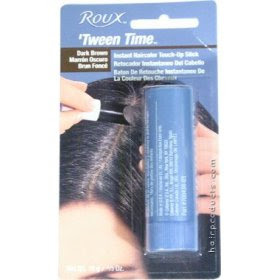 I recently heard about hair touch-up sticks (color sticks) as a quick and easy way to cover gray hair. How do they work? You have to wet the color stick and then brush over the offending strands. Then wait for a few minutes to dry. The color allegedly stays on until your next shampoo. Just perfect for those people who want to cover their roots between coloring appointments. It’s not very expensive also, just costs around $6 and lasts for more than 6 months. 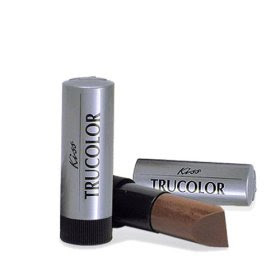 It is available in colors ranging from light brown to black. Select a shade that closely matches your hair-color and camouflage your gray hair. What a smart product. Great touch-up for those pesky gray hairs. I am posting you on my blog's weekend reads. Ahhh...you have to wet it first!! No wonder the stupid thing wasn't depositing any color. Off to try it again. Should be interesting to try. If you don't like to paint,consider shaving your head. A lot of people living near the coast have this kind of hair. The directions are easy: simply pull off the cap, twist the bottom to expose the coloring stick, moisten the top and spread over your hair as needed, then re-wet the stick if necessary. It is a cheap and easy solution for my follicle woes. Be careful with touch up sticks and make-up. If it is raining or your hair becomes wet, the make-up may run and streak down your face. There is only one other solution that I can think of and that is hair transplants. It is quite expensive, I've heard, but you would avoid dyes.